How secure is your home? Living in a rural area, protecting our family is essential in our isolated area. Investing in an advanced home security system is more of a dream than a reality for many families lie our own family. We've worked to afford our lifestyles of choice, the additional expense of protective technology becomes costly. 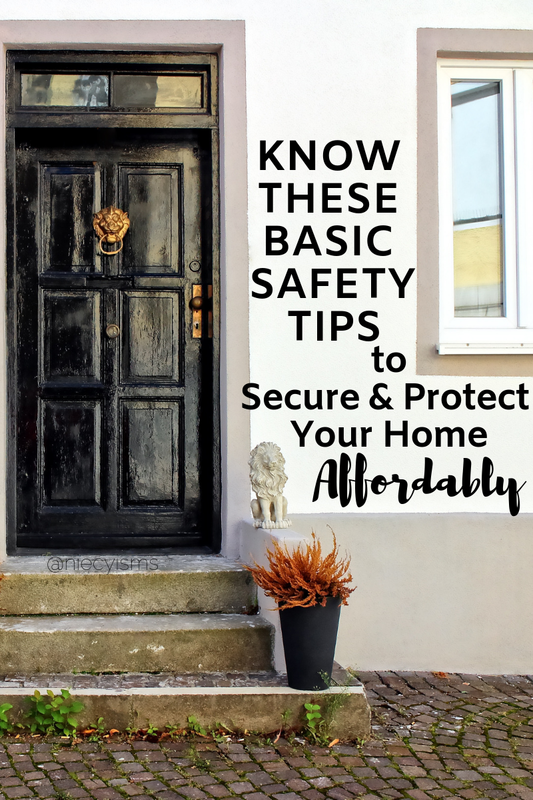 Being resourceful, there are ways to reduce your risk by knowing these basic safety tips to secure and protect your home affordably with a few simple steps. Thank you to Kangaroo and their promotional team for the courtesy of providing gratuitous product for editorial content purposes. We partner with Amazon Associates, affiliate advertising program to earn fees by linking to Amazon.com and affiliated sites. Keeping our home safe and secure against intruders is an ongoing process requiring frequent reevaluation. With Knowledge of some basic safety tips to secure and protect your home affordably, your level of vulnerability is significantly decreased. Maintaining a lush property landscaping layout potentially increases the value of your home, however, perimeter security is also greatly affected. Planting, planting thorny bushes and shrubs beneath windows serves as a deterrent to gaining access into homes. Maintain all plants surrounding windows and doors with routine trimming to minimize overgrown plants from creating hiding places. Consider the installation of outdoor lighting, including motion-activated lights for increased visibility. Mail deliveries left outside, awaiting retrieval at your front door are an invitation for theft. Check out security features from delivery companies for increased security options such as, text confirmation of delivery, signature at delivery, or arranging for packages to be delivered to a more secure location. Home security monitoring from a remote location or app such as Kangaroo Motion Sensor Security System is another option for monitoring activity around your home. Allowing an inside view of your home and valuables opens your home to an undesirable element and compromises safety. Arrange valuables, appliances, and home decor in less visible areas of your home. During evening hours or when away draw drapery or shutters closed to obstruct views into your home from windows or patio doors. Protect your home with doors crafted from metal or hardwood, minimally 1¾" thick. Secure your sliding glass doors and windows with a sturdy metal bar for low-tech protective reinforcement. Upgrading windows and doors with a Motion Sensor Security System for increased protection reduces your risk for intrusion with monitored security alerts. Prepare and review routinely your professional and personal home protection plan. Everyone should be reminded to lock doors and windows, checking entry points throughout the course of the day, as well as activating any alarm system when leaving the premises. Smart device technology with programmable light timers connected within your home provide light sources upon entry, while also giving the illusion of an occupied home when vacant.